Have plans with your gal pals this Valentine’s Day? Whether it be a brunch date, cocktails, or dinner – this little red dress is perfection. The embroidery detail is stunning, while the vibrant red adds a beautiful pop of spring! PLUS it’s available in sizing for petites, tall + regular! I’m in a ‘regular size US4’ for reference – think it fits pretty true to size. Gorgeous look! Love your style! 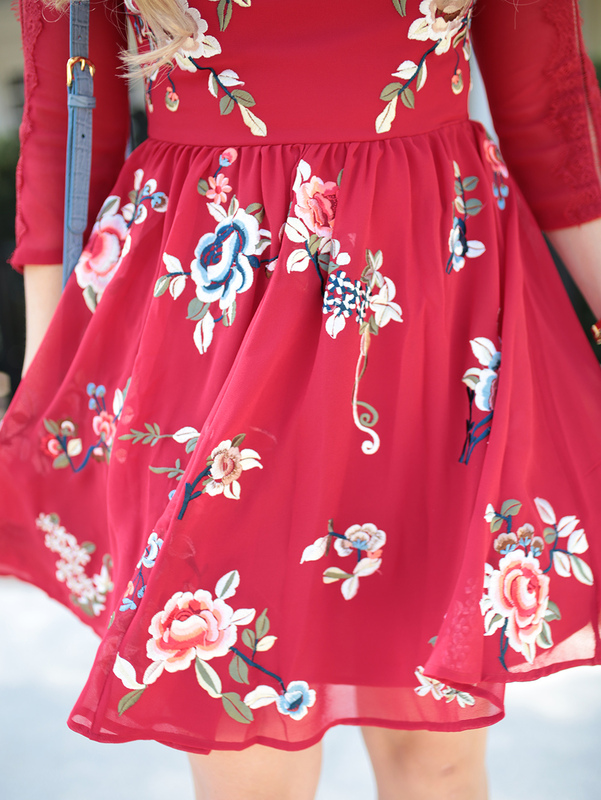 This is a dream, seriously-it’s everything I would look for in a V-Day dress! I love this dress! It’s so pretty. You look amazing! Love this dress! The embroidery is beautiful. Styled perfectly!